USDJPY is chiefly under the influence of the positive Trade Balance report and Manufacturing PMI for October. 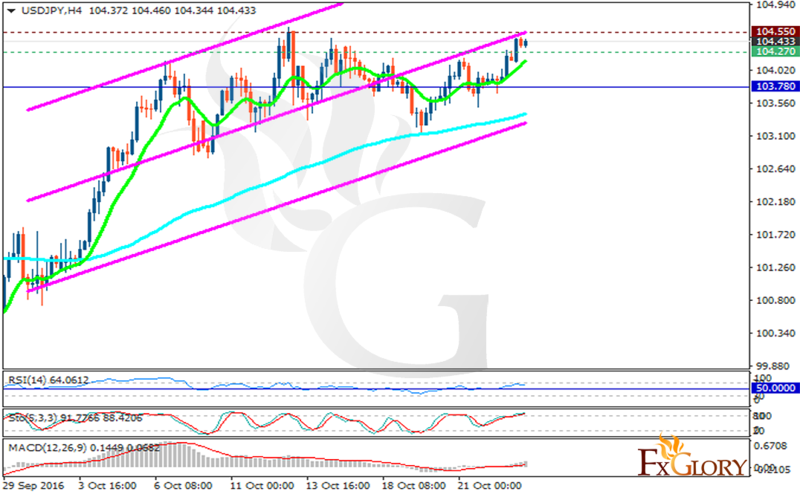 The support rests at 104.270 with resistance at 104.550 which both lines are below the weekly pivot point at 103.780. The EMA of 10 is moving with bullish bias and it is located above the EMA of 100. The RSI is moving above the 50 level in the overbought area, the Stochastic is showing upward momentum and it is moving in its maximum rate and the MACD indicator is in neutral territory. There will be a short term correction pattern soon targeting 103.00 area.